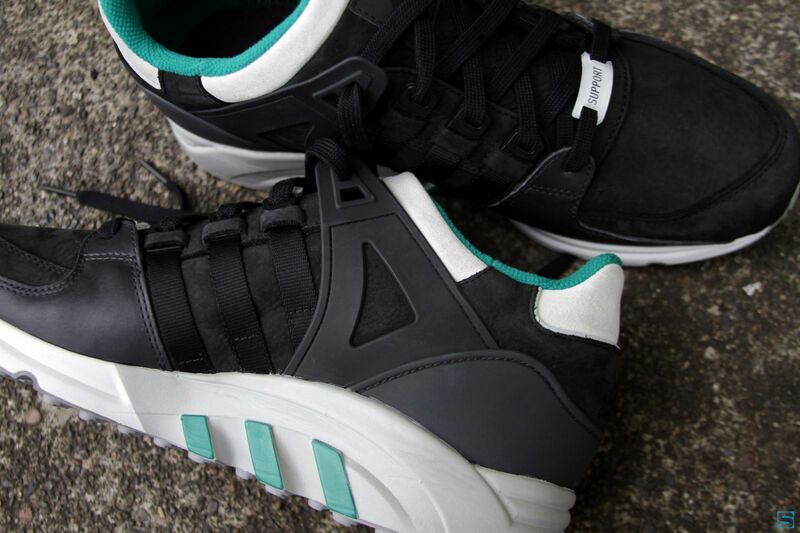 An exclusive look at the adidas Consortium EQT Support collection. 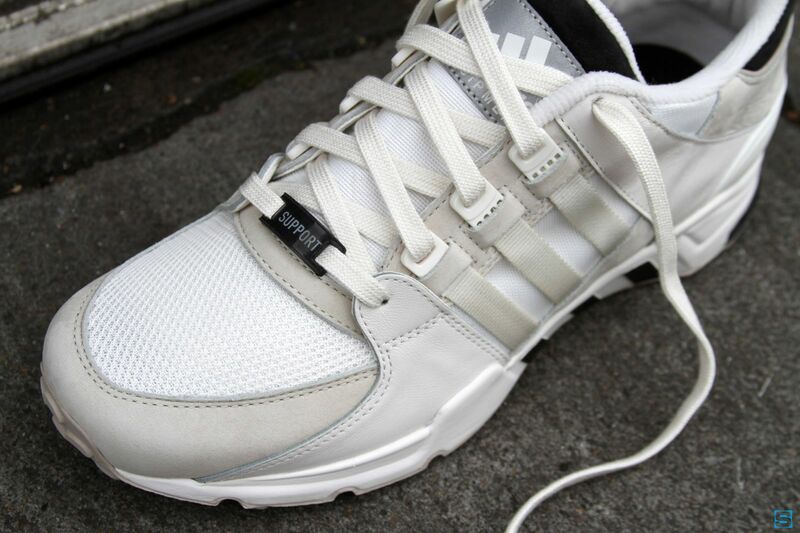 After many years waiting in the archives, the first ever return of the adidas EQT Running Support is upon us this weekend. 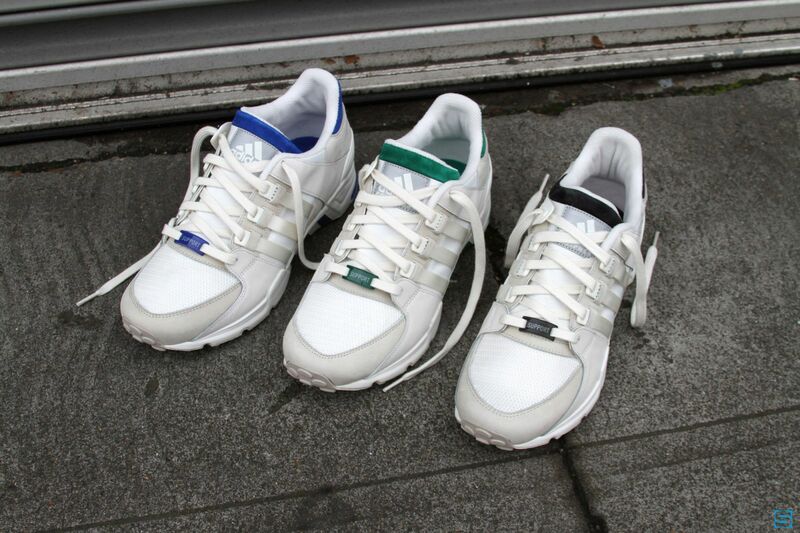 Along with the precisely accurate original colorway and construction of the Three Stripes runner from 1993 that receives a wide release on February 1st, adidas Consortium gets in on the fun with some more limited premium make-ups of their own. 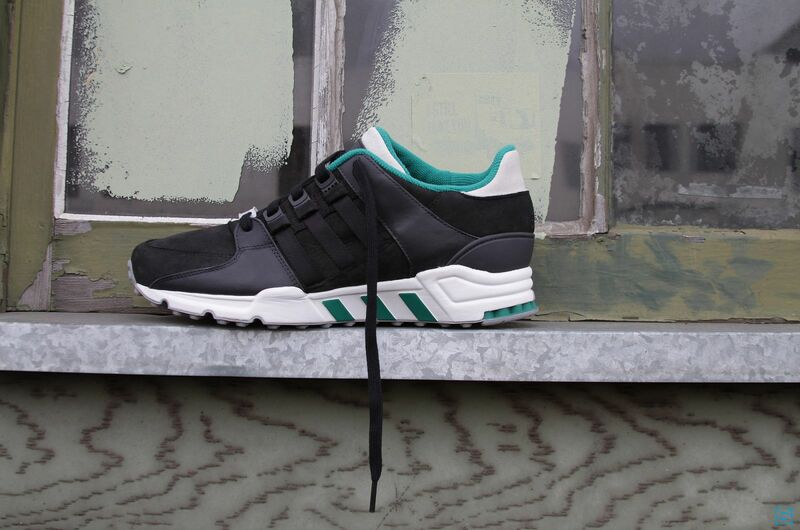 Leading the pack of the Consortium releases of the EQT Support is a premium black leather construction, inspired by the OG white/green/black EQT color scheme. 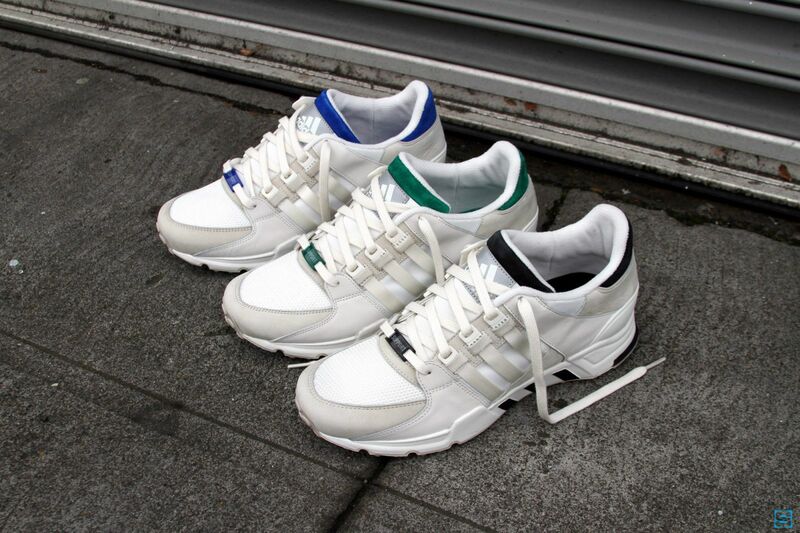 Next is a creamy trio of off-white colorways with a mix of mesh and the same high quality leather that you'll find on the black pair, accented with your choice of Sub Green, True Blue, or Black. 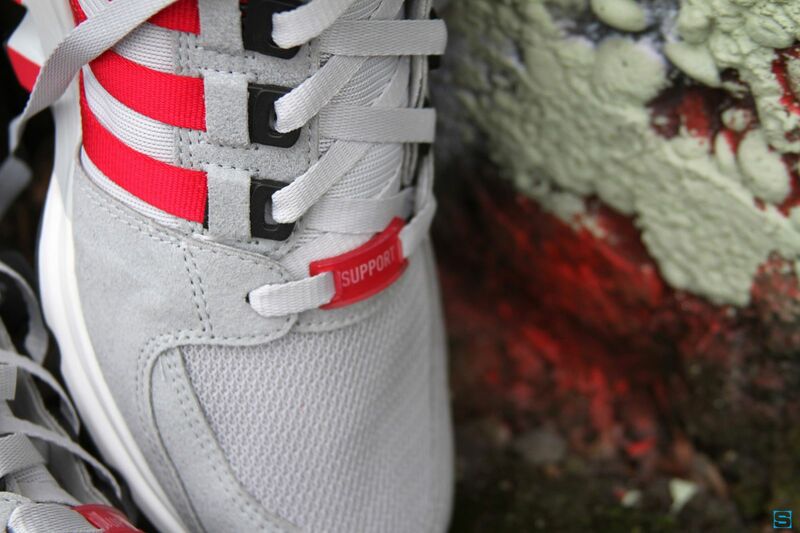 The final option of the Consortium package is presented in the shoe's OG materials with an Ice Grey/Black/Toro red colorway. 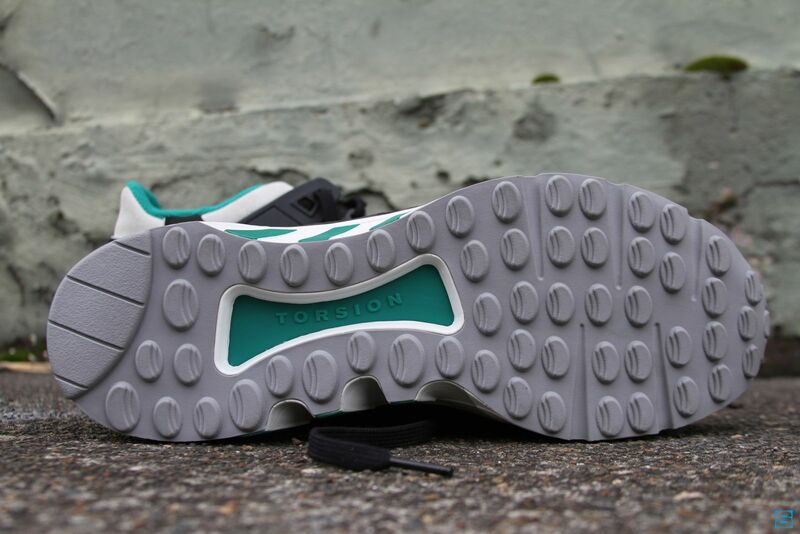 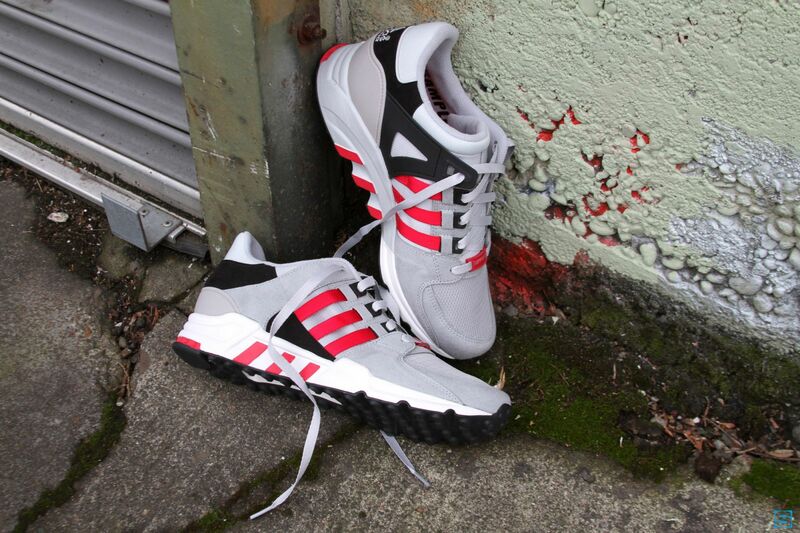 All versions feature all the same tech that made the Support one of the best running shoes of its time, including Torsion Support, burrito tongue and a plastic medial support wing. 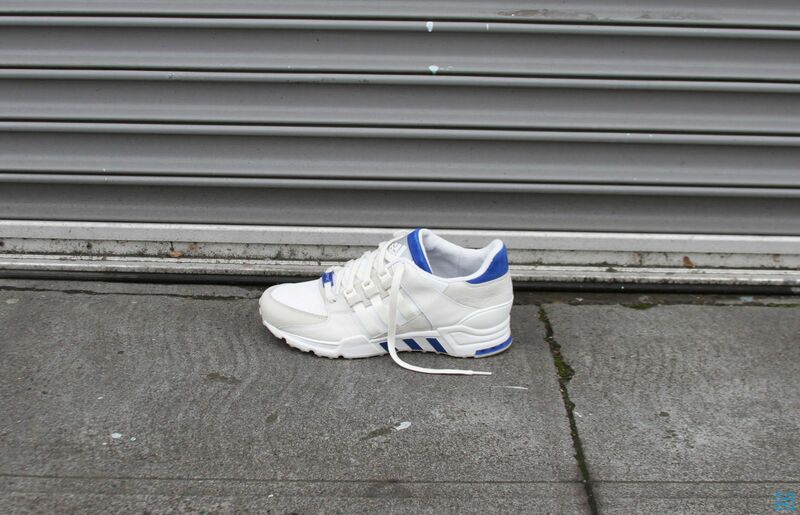 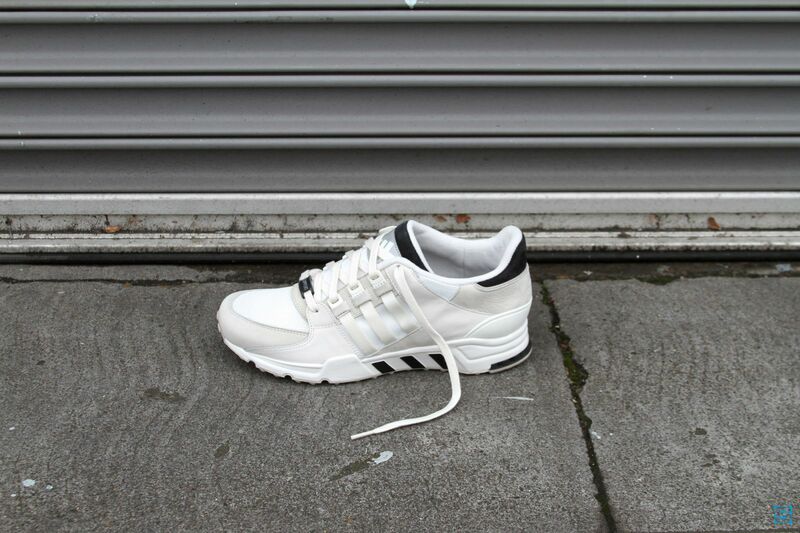 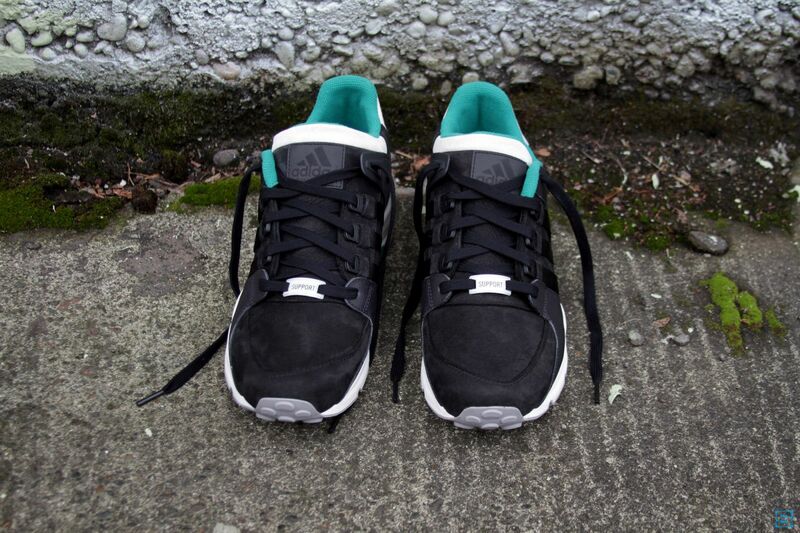 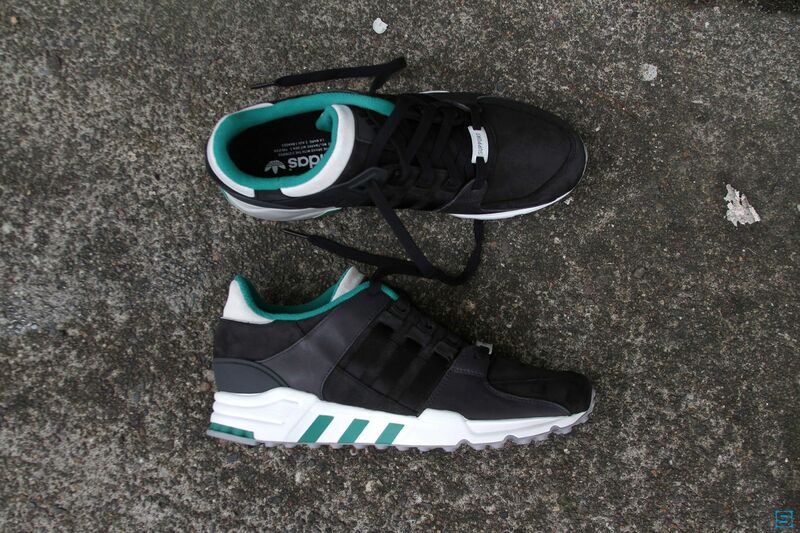 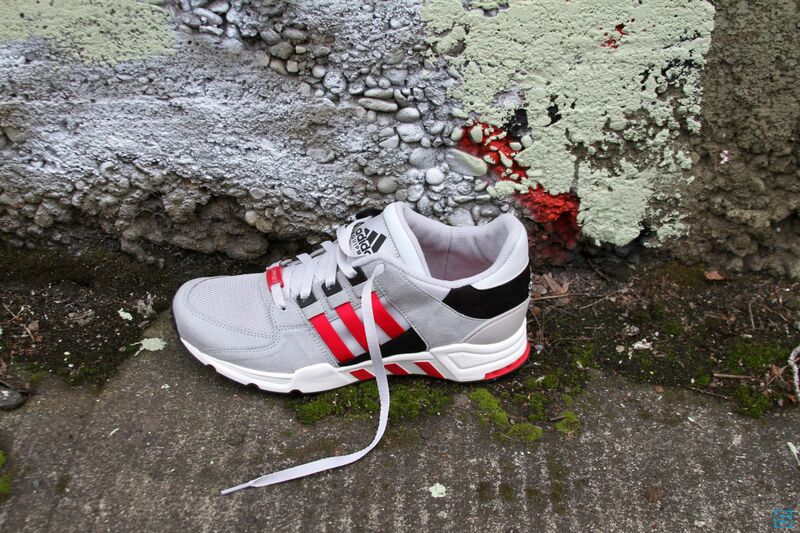 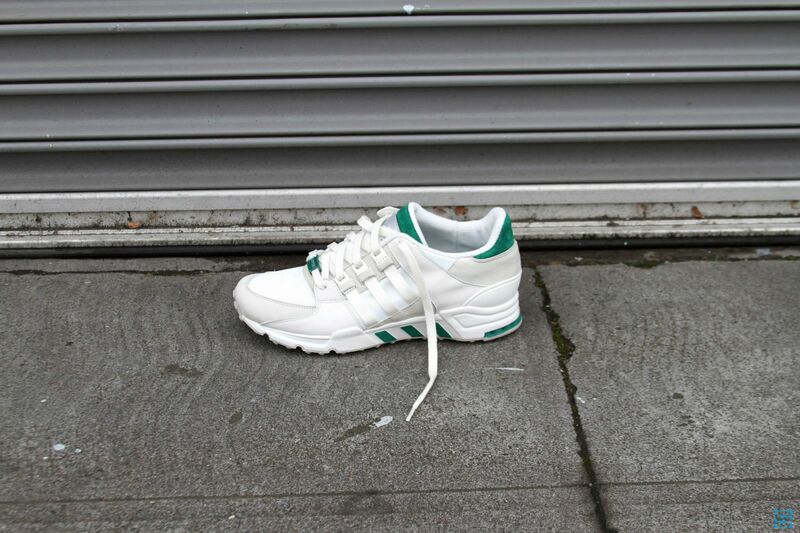 The adidas Consortium EQT collection arrives at Consortium stockists globally beginning February 1, 2014.